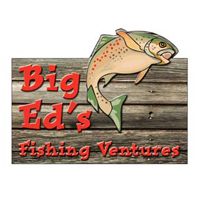 Big Ed's is Breckenridge's & Summit County's charter fishing company on Lake Dillon. Experience the beauty of Dillon reservoir at 9,000 feet while fishing for huge Rainbow and Brown trout, Kokanee salmon and the elusive Arctic char. Fishing trips troll and cast fish at the river inlets aboard one of two 2017 22-foot pontoon sun tracker fishing boats set up especially for high alpine angling. Trips depart four times daily 6am, 9:30am, 1pm and 4:30pm, lasting approximately 3 hours. Charter trips include all fishing equipment, rod, reel, tackle, boat, gas and guide. The only thing not provided is the one-day fishing license necessary for ages 16 and older. Charter trips depart from the Dillon Marina Slip B-29 & B-30. You can book the Big Ed's website or call 1-800-244-5613.